Fig.1. 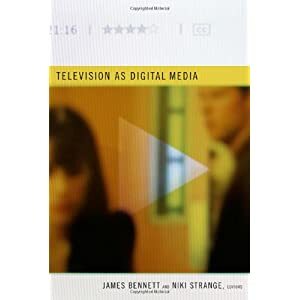 Television as Digital Media book cover. Retrieved from http://tinyurl.com/3d3g2ly. Have you ever wondered how remote controls have influences television viewers’ patterns across the years, or how the original Star Trek series has forever changed production patterns within the industry? If you have, then the 2011 Television as Digital Media book is for you. And if your answer is no, then this book will still prove to be an enjoyable read as it offers a multitude of topics to chose from, dealing with various aspects of television in the digital age. The book is divided into four parts, each of them focused on broad features of digital television. The first part details the conversion process that has been underway in the past years as a result of the widespread adoption of digital television. The chapters approach different perspectives, presenting the aesthetic, regulatory, technological and industrial changes that came as a result of the switch-over. The second part aims to give the reader an insight into the economic and production practices within digital television, offering case studies on topics such as preschool TV programs or Star Trek . The next part discusses the aesthetics issues of digital television, with the authors investigating the loss of the contingent as a result of the integration of computer-generated animation in television productions (particularly in documentaries), or the loss of distinctiveness within digital television. The final part explores the so-called ‘death’ of the audience and the rise of the ‘produsers’ and how distinctions between the two groups (users and producers) are becoming blurred as a result of the ease with which virtually anyone can cheaply provide content online. As one can see, the range of topics covered by the book is quite extensive and the chapters provide easy-to-follow lines of argumentation that could prove to be interesting even for those who are not particularly interested in the topic of television research and its academic discourse. Furthermore, each chapter taken individually could very well provide an excellent starting point for extensive research, and one can easily see that considerable thought and effort that have been put into writing each of them. As a result, every chapter stands alone as a short research paper done on the matter at hand, giving the reader plenty of insight and information into topics that could have otherwise gone unnoticed. Such a combination of purposes is rather hard to achieve within the time constraints of only a few minutes, which is exactly what makes these webisodes so impressive. While television critics and media scholars may disregard their value, Dawson argues that it is precisely the fact that they do not fit withing any of the traditional categories of ‘television’ or ‘advertisement’ that makes them so interesting and why conventional assumptions should be left at the door when dealing with them. And this is in a way also the message that the book tries to convey. The analyses point towards changing industry practices which will lead to transformations that cannot be fully foreseen, but which will require media scholars to rethink the ways in which television is defined and, more importantly, analyzed. This being said, the book also has its drawbacks. One of the main issues that becomes obvious from the first chapter is the sole focus of the book on digital television in Western countries, specifically in Australia, the U.S. A. and the U.K., with examples from other countries being few and far between. On the one hand, it is true that a more inclusive analysis would have been difficult to achieve while maintaining the same range of topics and the rather moderate size of the book. 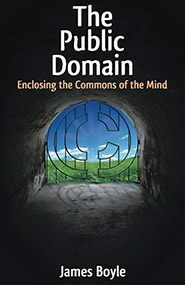 On the other hand, one cannot help but notice the fact that at no point during the book does anyone draw attention to limited applicability of the theories and developments that are being discussed, and it becomes somehow implied that scholars’ focus resides solely within the Western hemisphere. But with many countries such as India or China still not fully digitalized, the future of digital television is still uncertain and many possible outcomes may result once the transition is complete. Another problem that I personally had with this book was the lack of clear cohesion between the chapters and sections. Despite the fact that every chapter is well written on its own, it does feel at times like a disjointed portrayal of various aspects pertaining to digital television, which in the end create an indistinct image of how digital television will evolve . The lack of a concrete conclusion is sorely missed as the book ends abruptly on the topic of online DIY fame. What Bennett seems to do is to do is to utilize this chapter as a makeshift conclusion meant to emphasize the fact that despite all of the many qualities that digital television and the Internet have to offer and whatever changes they bring about, the inherent structures of television, programming, or fame remain the same and they are more likely to be transferred onto the new platforms, rather than the platforms reshaping them. Therefore, the conclusion becomes a missed opportunity, as the reader is left with the task of putting the pieces together, but with no real insight from the editors as to how they should be connected. Overall, despite the rather abrupt ending, Television as Digital Media presents itself as an enjoyable and informative read, dealing with a variety of aspects that come as a result of the advancements that are shaping the future of digital television. Bennett, James and Niki Strange (Eds.). 2006. Television as Digital Media. Durham, NC: Duke University Press Books. Dawson, Max. 2011. “Television’s Aesthetics of Efficiency: Convergence Television and the Digital Shorts”. In Television as Digital Media, eds. James Bennett and Niki Strange. Durham, NC: Duke University Press Books.